Edmondson Construction Company - We Move Dirt! 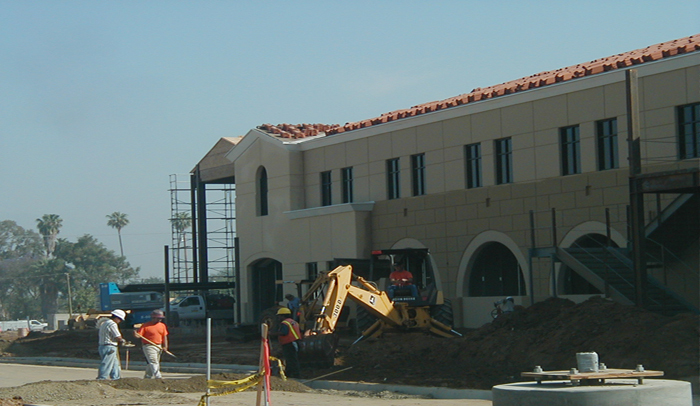 General Engineering Contractor located in Lake Elsinore, California. operators with 20+ years of experience. latest computerized software to insure accurate quantities for your project. Edmondson Construction Company is a fully licensed, bonded and insured General Engineering Contractor established in Lake Elsinore, California. 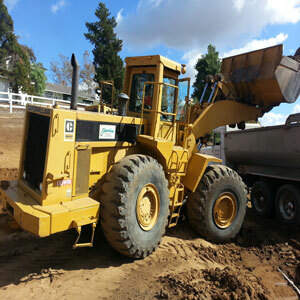 We specialize in grading, paving, and site concrete work. 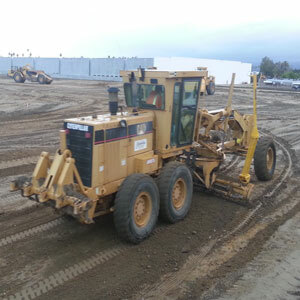 We have a large fleet of heavy equipment so we do not have to rely on rental equipment to complete your project. We have professional operators with 20+ years of experience. We employ a professional staff of operators with an average of over 20 years of experience. Our experience ensures your project is completed correctly the first time, on time, and on budget. We use the latest in CAD, GPS and Laser technologies to ensure fast and precise work with accurate quantities for your project. We have a large fleet of heavy equipment, utilizing the latest in technology from Bomag, Case, Caterpilar, DaeWoo, Ingersoll-Rand, John Deere and Volvo. From freeway work for Cal-Trans, to city streets, curb, gutter and sewer, to public parks, to driveways, sidewalks and parking lots, we've done it all! Put our 30+ years of experience to work for you on your next infrastructure project. Large or small we will complete your project precisely and professionally. We have completed some of the largest retail and commercial projects including: Costco, Kohl's, Lowe's, Sam's Club and Wal*Mart. 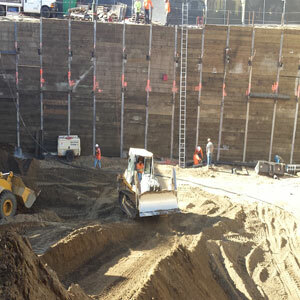 A solid, level foundation is the backbone of any construction project and you can trust us to create the strongest of foundations for your project. We have completed projects for some of the best builders of churches, schools, condominiums, apartment complexes and tract homes in the world. Listed here are some of our very satisfied partners and customers. A list of further references is available upon request.